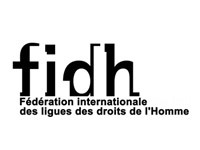 FIDH and its member organization, the Lao Movement for Human Rights, regret that the Lao PDR refused to accept recommendations made by many states in several key human rights areas during its second UPR in January 2015. We urge the Lao PDR government to implement the numerous recommendations made to address cases of arbitrary arrest and enforced disappearances in the country. All victims of enforced disappearance and their families must receive justice. They include 12 individuals arrested and disappeared between 1999 and 2009 for their call in favor of democracy and respect for human rights. The Lao PDR must also conduct, as a matter of priority, an independent and thorough investigation into the disappearance of prominent civil society leader Sombath Somphone, with assistance from the international community. We demand that the Lao PDR establish a timeline for the ratification and implementation of the International Convention on the Protection of All Persons from Enforced Disappearances. The Lao PDR must ensure the right to freedom of expression and media freedom, including on the Internet, by bringing its national legislation into line with international human rights standards. Since the adoption of Decree 327 in September 2014, authorities have harassed and detained several individuals for the legitimate criticism of government agencies. We remain deeply concerned over ongoing cases of land confiscation and forced relocation without adequate compensation as a result of the granting of land concessions to private interests. We urge the Lao PDR to enforce the moratorium on new land concessions announced in June 2012 and reform the current system for the management of land leases and concessions. In closing, we call on the Lao PDR to establish an independent National Human Rights Institution in accordance with the Paris Principles and to issue a standing invitation to all UN special procedures.